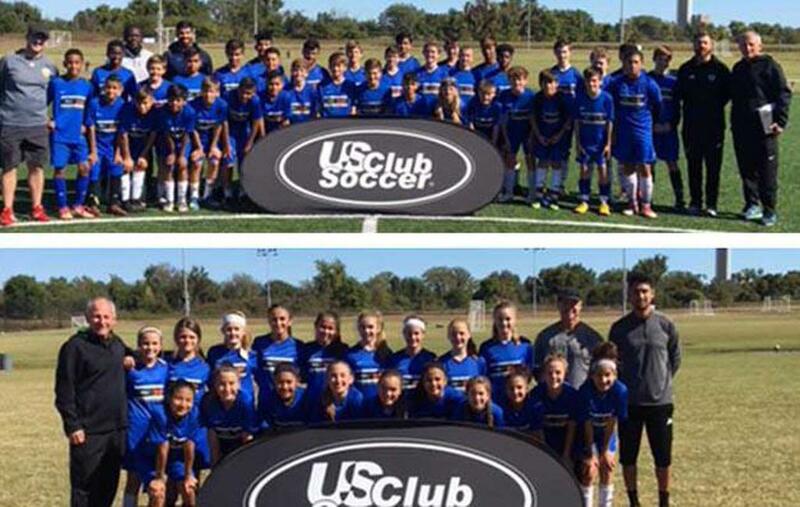 The Red River NPL held their second ever Player Development Program (PDP), which hosted 56 players born in 2005-06, October 21 in Tulsa, Oklahoma. TULSA, Okla. (Oct. 24, 2018) - The Red River NPL held their second ever Player Development Program (PDP), which hosted 56 players born in 2005-06, October 21 in Tulsa, Oklahoma. 37 boys and 19 girls gathered at Titan Sports & Performance Center to showcase their abilities in a balance of technical drills and 11v11 situations. "The PDP and id2 format that US Club Soccer has implemented is geared towards identifying and training players,” stated Dave Simeone, the Red River NPL Technical Director. “It has proven itself to be effective because it is driven by competent, responsible, and technical people within the NPL and at the national level. We are not relying on a business model to work in the interests of player development." The players were coached by Jordan Belong (NEOFC), Martin Clayes (TSC Hurricane), Anthony Delao (Arkansas Comets), Sean McMannis (Oklahoma Celtic), Mark Wilson (TSC Hurricane), TJ Rodriguez (River Valley FC), and Alex McLaurin (West Side Alliance). PDPs are identification and development programs conducted within the id2 Program umbrella. Consistent with US Club Soccer's philosophy that identification and development should be free to players, there is no cost to players. PDPs are approved as an Olympic Development Program by the United States Olympic Committee and U.S. Soccer Federation. PDP invitations are based upon scouting within the NPL, scouting of NPL clubs and other nearby clubs, as well as recommendations from Directors of Coaching. Based upon this scouting and recommendation process, top players are invited to attend PDP events. id2Program scouts are on-site at all PDP events to scout players for potential inclusion in id2Program Training Camps. U.S. Soccer scouts will also attend many PDP events to scout players for consideration in U.S. Soccer Youth National Team camps.